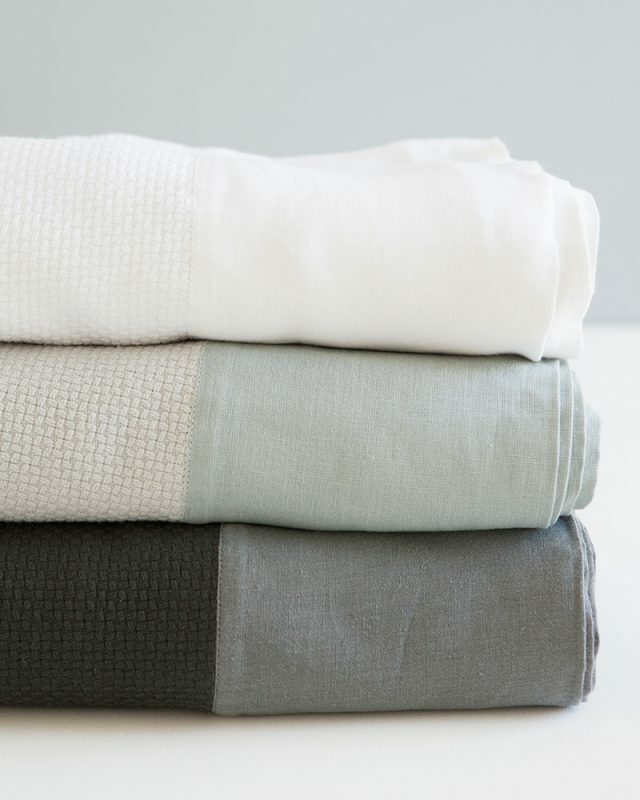 A luxurious and elegant pure cotton throw. 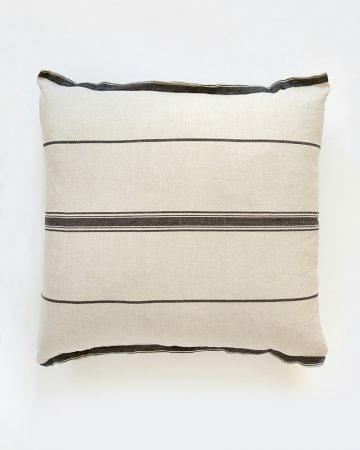 A wide linen border along the two short ends adds a sophisticated touch to this timeless piece. 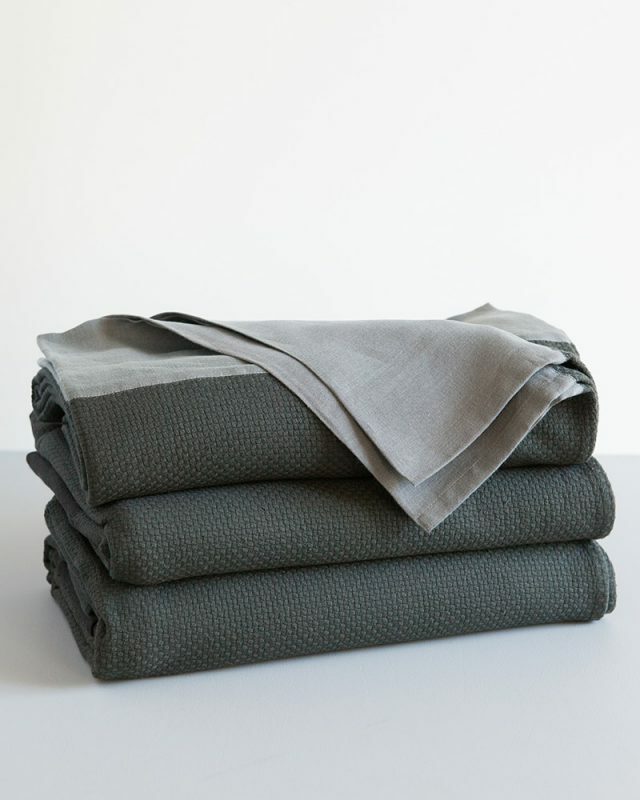 The Interlace Weave bedcover has a simple and timeless aesthetic. 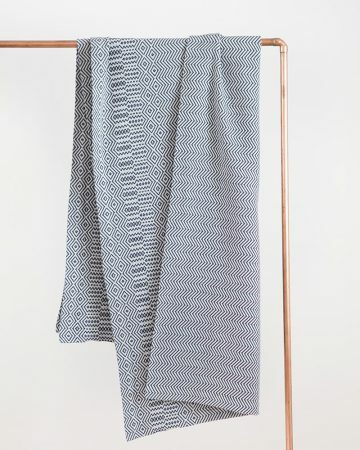 This elegant weave is a Stu Holding original concoction, which we have been producing for nearly 2 decades. 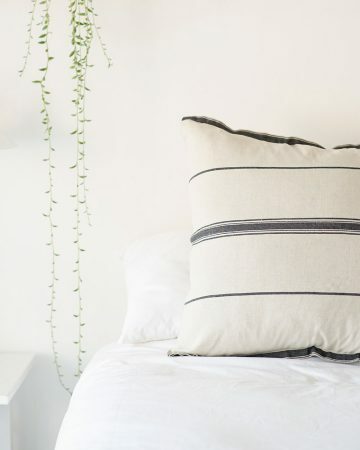 We spend about a third of our lives in bed, so why not endeavour to make the experience as luxurious and comfortable as possible? 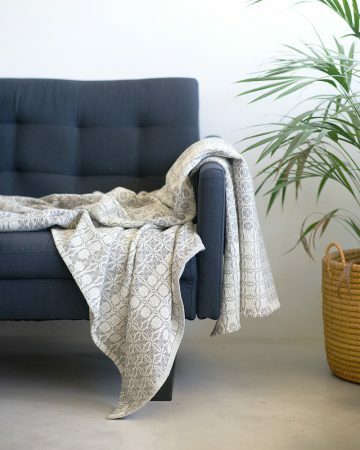 The Interlace throw ticks all the boxes. 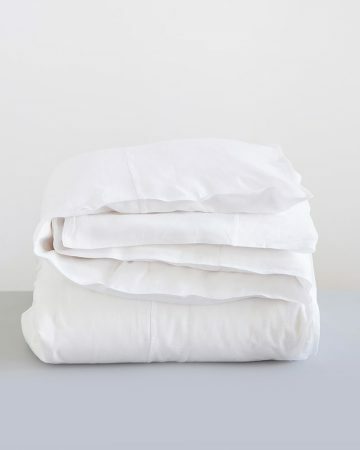 Woven from pure cotton, its texture is silky, smooth and soft. 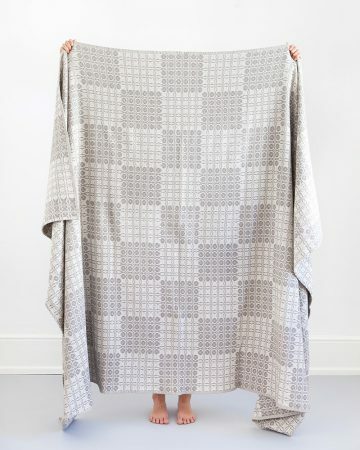 Perfect for use as a lightweight, breathable throw in summer or layering up in winter. 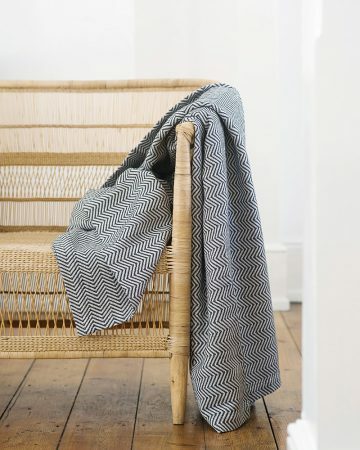 The Mungo Interlace throw features a pure linen border.